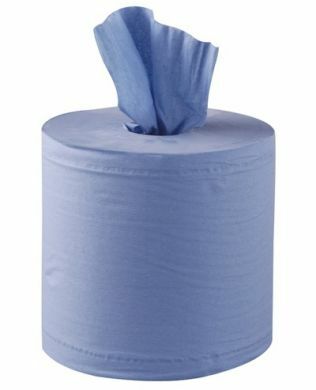 Ideally suited for use in both commercial and domestic kitchens and food preparation areas, this 6 pack of 2-ply blue rolls is perfect for absorbing spillages, cleaning appliances and surfaces and drying hands. The centrefeed roll design allows these blue centrefeed rolls to be used with dispensers such as the GD836, creating a cost effective and efficient paper roll dispensing unit, or on their own for quick and easy, portable cleaning. The roll measures 125m in length, giving you plenty of roll for use in a range of applications, from drying hands to cleaning surfaces and appliances.